A month or so ago I was getting to the end of my tether. Sam was getting so boisterous at nursery and home that there wasn’t a day go past when he hadn’t done something naughty. Thinking about his behaviour made me realise that he was probably just bored and needed challenging. 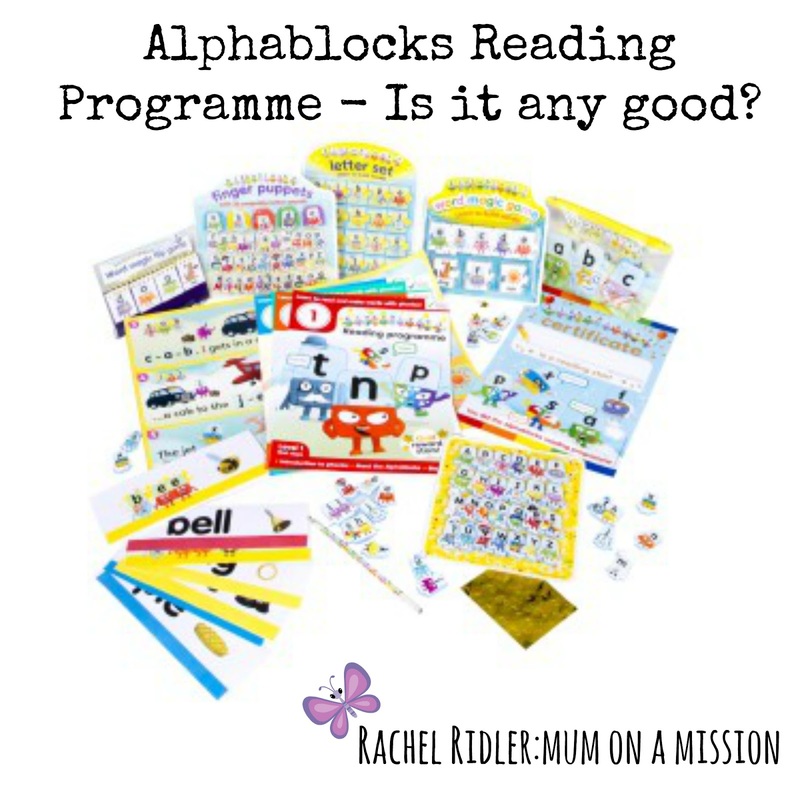 So I ordered the Alphablocks Reading Programme after seeing it advertised in a CBeebies magazine that Sam had enjoyed. I am so impressed with what I received. At a cost of just over £30 (can’t remember what the delivery cost was on top) I got a box full of amazing resources. There are 15 magazines which go from first steps (learning letters and phonics sounds) up to them eventually reading all by themselves. There are millions of stickers, letter tiles, games and different activities to get them interacting with learning. My favourite thing is that each magazine links in with certain episodes of the TV programme, so I could do a few pages with Sam and then watch the programmes together to consolidate what he has learnt. There are also online games too. My second favourite thing is that for each page completed the child gets a gold star sticker – and who doesn’t love getting a gold star! We have gone slowly through the first magazine but it is amazing to see how excited Sam is when he watches the programme and sees a letter he has learnt! He now firmly understands S, A, T, P, I, N, M and D, and we are working on creating “word magic” by putting them altogether. It is going to take some time, but this is the first exciting step on his reading journey (And his behaviour has definitely improved now he has something to concentrate on!). I would say that this pack is amazing value for money as you are basically paying £2 per magazine (which is cheaper than any kids magazine from a shop) and you get all the extra learning resources on top and links to websites. I am even tempted to order an extra pack now for Reuben in a few years time. I would also say that for parents who want to help teach their kids but have no idea where to start that this is amazing. It gives you everything you need to start teaching your child how to read, and there are small instructions at the top of each page so you are doing it right (because we all know it has changed since we went to school!). 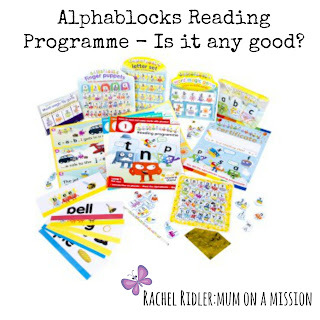 With the Alphablocks Reading Programme I am pretty sure everyone could teach their kids to read, and would have a lot of fun along the way. Please note: I DID NOT receive this free to review – this is just something I really love and believe in and wanted to share with you all! I paid my £30 and would happily do so again. So sorry to hear that – since writing this post I have had many messages to ask about it, and it does appear that they have gone out of print. Unfortunately the magazines cannot be used again once completed, so we threw our old ones away. I’m gutted I didn’t buy a second set for my younger son as now I can’t do it with him! Hope you find something similar in the US.